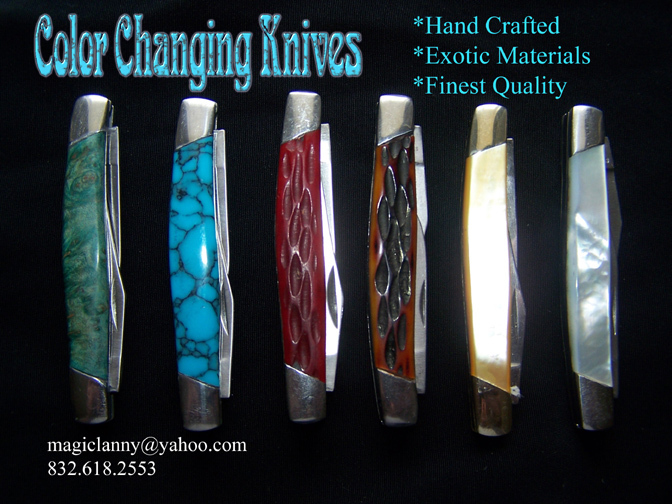 are hand made from natural materials. Stag horn, chipped bone, exotic woods and real pearl. Cut & restore a rope under challenge conditions! 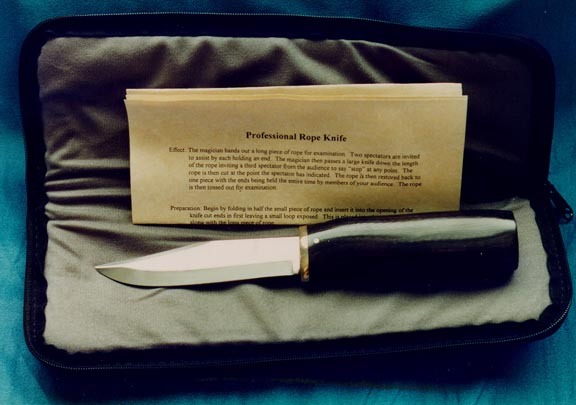 Incredible Craftsmanship: Stainless steel blade and highly polished black resin handle. Gimmicked knife may be displayed on all sides. Do the impossible on demand! Imagine , Two spectators stretch a rope in front of you. A third spectator points to a spot on the rope. With no false moves, you slice the rope cleanly in two with your Handcrafted Rope Knife Then with the ends still being held, you triumphantly restore the rope whole, ready for full examination.